Aberdeen Standard Investments has launched a European Residential Property Fund supported by Netherlands-based cornerstone investor Pensioenfonds Metaal en Techniek (PMT) and its fiduciary manager, MN. 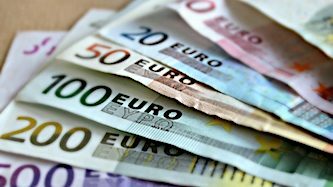 Initial investments in excess of €350 million have been received from eight investors in The Netherlands, Switzerland, and Luxembourg. The fund is the first open-ended property fund of its kind to invest in the residential sector on a pan-European basis and will focus on the “private rented sector” (PRS), taking advantage of low supply and high demand for quality rented residential property in Europe’s leading cities. With further fund-raising planned, the fund is intended to grow to above €1 billion over the next five years. Aberdeen Standard Investments global co-head of real estate Pertti Vanhanen, said: “The secure long-term rental streams provided by the private rented residential sector are a good opportunity for investors. “In Germany approximately 50% of the population rents privately and the sector is an established asset class that saw €16 billion of investment in 2017. “Denmark, Sweden, The Netherlands, Switzerland and France also have burgeoning rental markets. “Rapid population growth in European cities means that supply of good quality rented accommodation is in great demand and this is driving a surge in investor appetite. “By advance-funding some developments we will help meet that demand while providing accommodation that’s of a decent standard, in locations where people want to live. “In the UK, the rental sector is already valued at more than £1 trillion and will grow further, with private renting set to increase by around 24% by 2022. “Historically the market has been dominated by individual private landlords, but professional investors and developers are now creating quality housing stock to advance the sector and meet the needs of tenants. “The time is right for Aberdeen Standard Investments to launch this sort of fund. The team will buy existing private rental housing blocks and forward-fund the development of new stock to create a portfolio of good quality, sustainable middle-income residential property. Whilst PRS is the priority, 25% of the total portfolio can be invested in other types of accommodation such as student housing, retirement and nursing homes. The fund will target high standards of sustainability and will aim to achieve a minimum four star rating by the GRESB Real Estate Assessment, which is the industry measure of green performance. The fund will be managed by Marc Pamin, based in Germany, supported by assistant fund managers Ed Crockett in the UK and Ole Tange in Denmark, and a wider team of managers responsible for transactions, asset management and development. The team has been investing in residential property since 1999 and has €5.2 billion invested or under construction in Europe. Up to half of the total capital will be deployed in Germany, with the remainder invested across cities in western Europe, including the UK. The fund will target a return of five to seven per cent (net of fees), with an income element of three to four per cent per year. Debt will not exceed 40% (loan to value) at a fund level, with a long term target leverage of 25%.